Designed for pastels, these boxes can also store pens, pencils, charcoal, blending tools, small accessories and more. The hand-sanded pastel boxes are constructed of hardwood with veneer, and they feature durable finger-joint construction. Individual drawers have five separate foam-padded compartments ideal for arranging your colors and keeping them separated from stumps, tortillons and kneaded erasers. 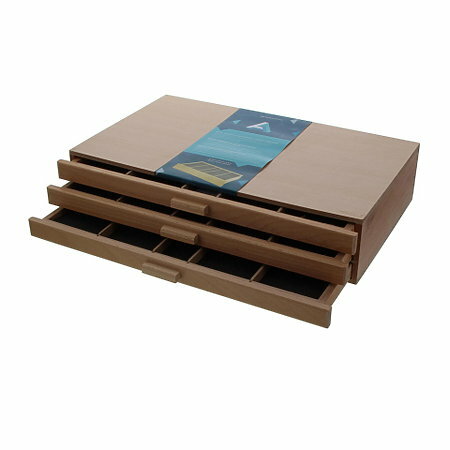 The drawers are removable for convenient access to stored materials. Boxes measure 15-1/4" x 9-5/8", and the height varies depending on the number of drawers.